The buyer, a female European collector and a long-standing client of Sotheby’s, is proceeding with the purchase at the same price [£ 1.04 million, or $1.4 million] as was achieved in the room on the night. I think you are approaching this from the wrong angle. Instead of thinking about a painting being destroyed in the auction, you might consider that the artwork was created during the auction. Not really. Although the incident may be a first in auction history, there is art historical precedent for an artist’s orchestrating the unexpected public destruction of his own work, with the remains treated as a work in its own right. 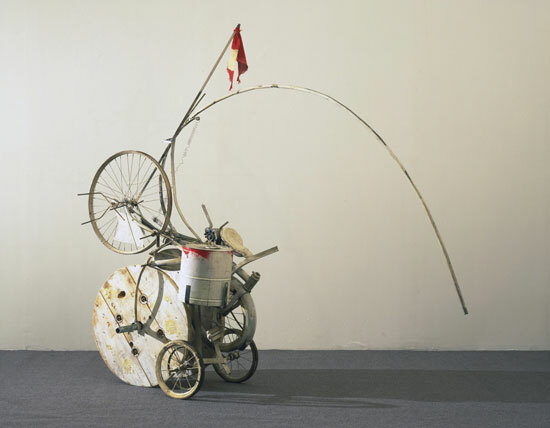 In an event much more dramatic event than what Banksy concocted, Swiss Dadaist Jean Tinguely staged a performance in the sacrosanct realm of the Museum of Modern Art’s Sculpture Garden, where his contraption, “composed of bicycle wheels, motors, a piano, an addressograph, a go-cart, a bathtub, and other cast-off objects” (as later described by MoMA), burst into flames. 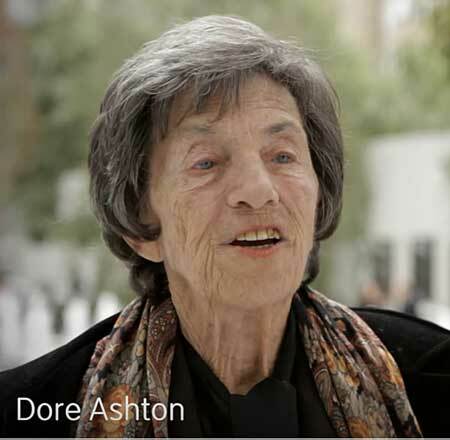 Comments by Dore Ashton, the late art critic, writer and professor, about her experience at this 1960 performance by her friend Tinguely suggest what Banksy might have been going for in last week’s auction escapade. It [Tinguely’s performance] was sufficiently iconoclastic and this is an institution and us old anarchists [inspiring new ones, like Banksy? ], we’re against institutions, right? [emphasis added]…I knew what was going to happen, but I didn’t tell these people at the Museum of Modern Art….I knew it was going to catch fire. Jean had told me. Whether the seller was in cahoots with the artist, or was being punished by him for monetizing a gift he had promised to keep, we may never know. I elaborated on these concerns in my May 23 blog post—Gloom at the Top: Why Megabucks Auctions Are Broken (and how to fix them)—which Christopher Knight, the LA Times‘ art critic, quoted in his own analysis of whether “Banksy [is] bursting an inflated auction balloon” (in the words of the headline). By embracing Banksy’s mockery (giving implicit encouragement to others who might follow his lead), Sotheby’s comes off as part-patsy, part-good sport. For Banksy, this caper was a lot riskier than his museum interventions, because it could have had real monetary consequences—to the auction house, to the seller, to the high bidder and, by extension, to the artist, who might have been held responsible for financial damages. For now, cue the happy ending: “Banksy has cleverly nestled himself in the pages of art history,” Sotheby’s cheerfully proclaimed in today’s post mortem on its website. It remains to be seen whether he will go down in the history books as a prophet, a poet or a clown (or all of the above). 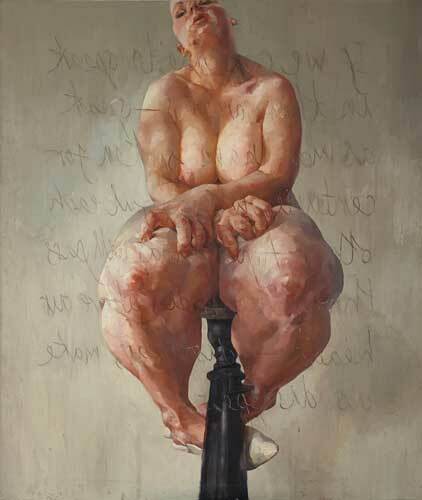 It is fascinating to me, the chatter that Banksy has caused with this performance….What about the new auction record [my link, not his] for Jenny Saville, now the highest price paid for a living female artist. Isn’t that more newsworthy? Meanwhile, can someone please explain to me what is meant by “Love is in the Bin”? A NOTE TO CultureGrrl READERS: If you appreciate my coverage, please consider supporting CultureGrrl by clicking the “Donate” button in the righthand column. Contributors of $10 or more are added to my email blast for immediate notification of my new posts. 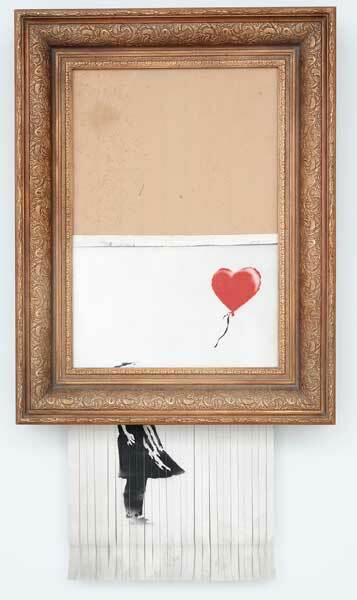 Original Link: Banksy’s Hanky-Panky at Sotheby’s, Part II: Can you Create a New Work by Shredding an Old One?